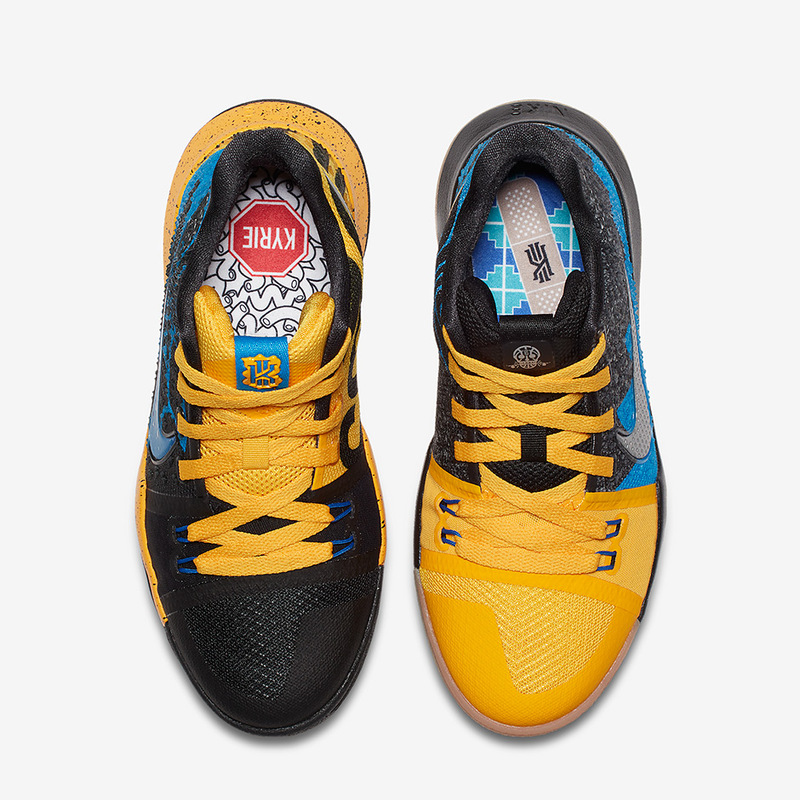 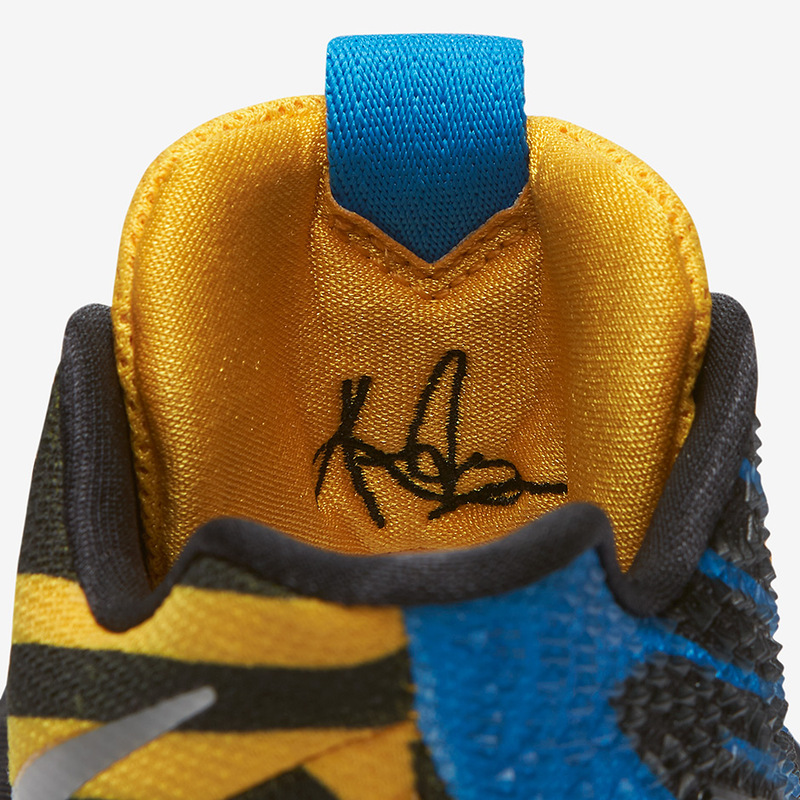 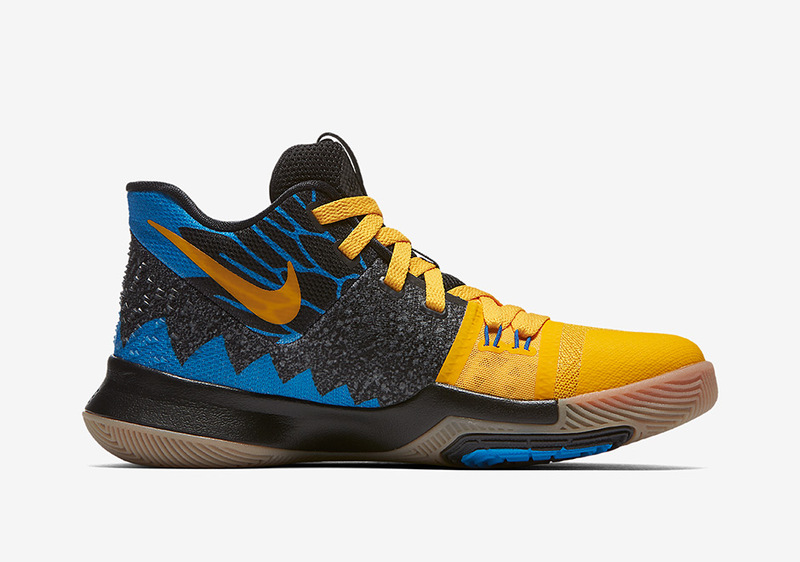 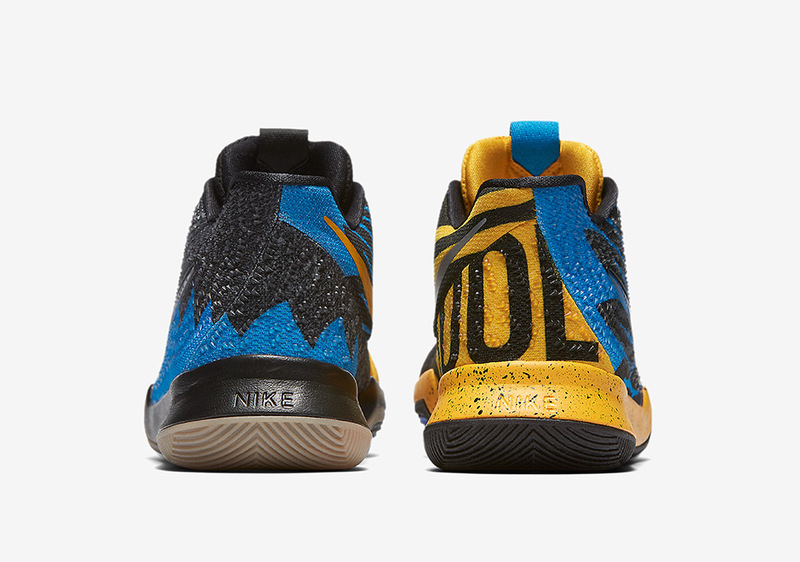 Kyrie Irving’s signature line with Nike has been one of the most popular Swoosh Basketball silhouettes in the news lately, as numerous “What The” renditions have surfaced, as well as a low-cost alternative to Kyrie’s premium line. 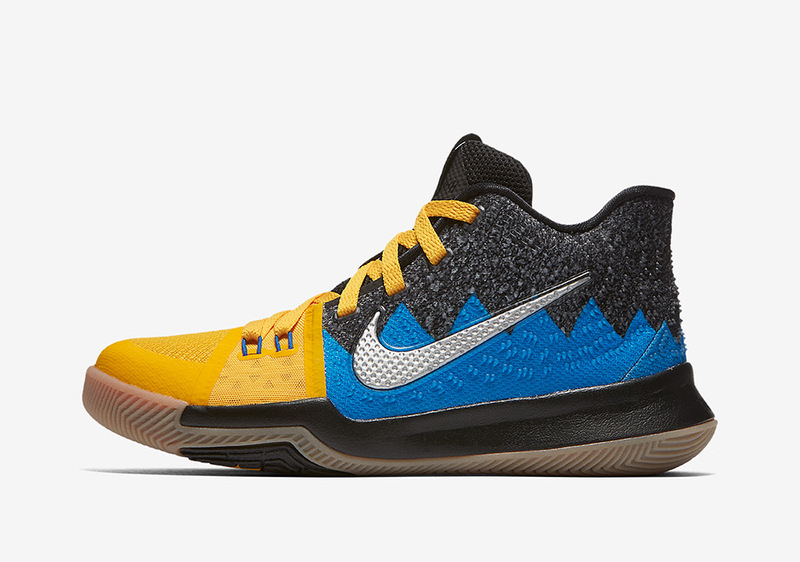 Nike is gearing up to release a kids exclusive colorway of the “What The” Kyrie 3 that harkens back to some of the most memorable Kyrie iterations from the past. 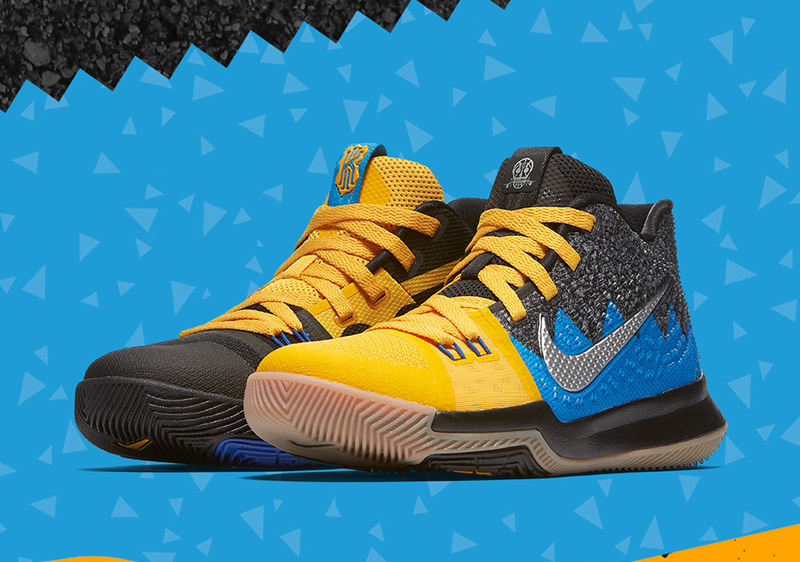 The insoles of the sneaker pay direct tributes to two models in particular with the use of graphic details – the “School Bus” Kyrie 2 and the “Badge of Honor” Kyrie 3. 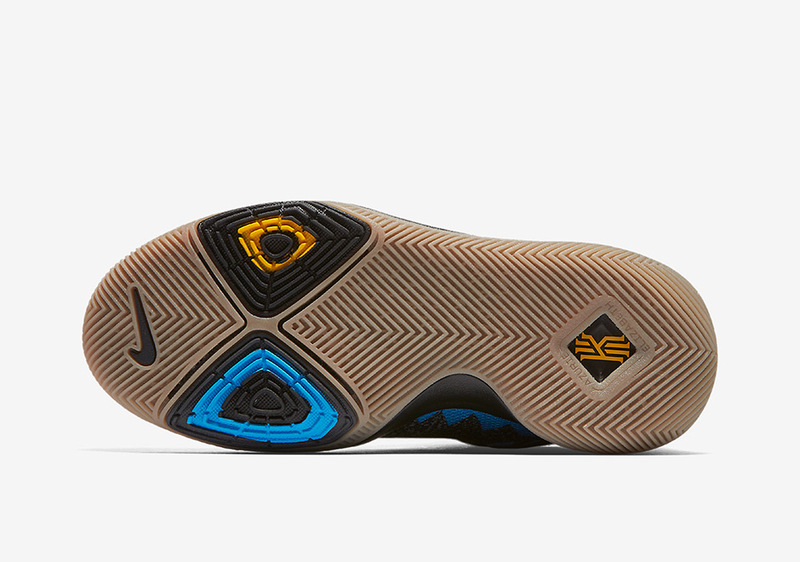 Not only does the shoe mold color schemes from past models but the construction is made up of materials that have been used on previous versions as well, like the band-aid-like textures from the aforementioned “Badge of Honor” concept. 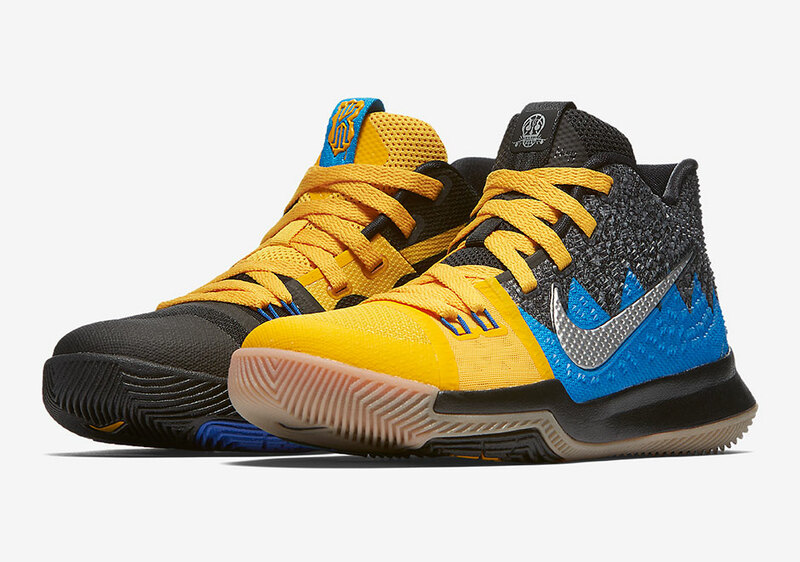 Young fans of this eclectic hybridized basketball silhouette will be able to grab a pair from the Nike SNKRS app this Friday, December 1st, for a reasonable listing price of $100.